Where does the Fraser island ferry leave from? 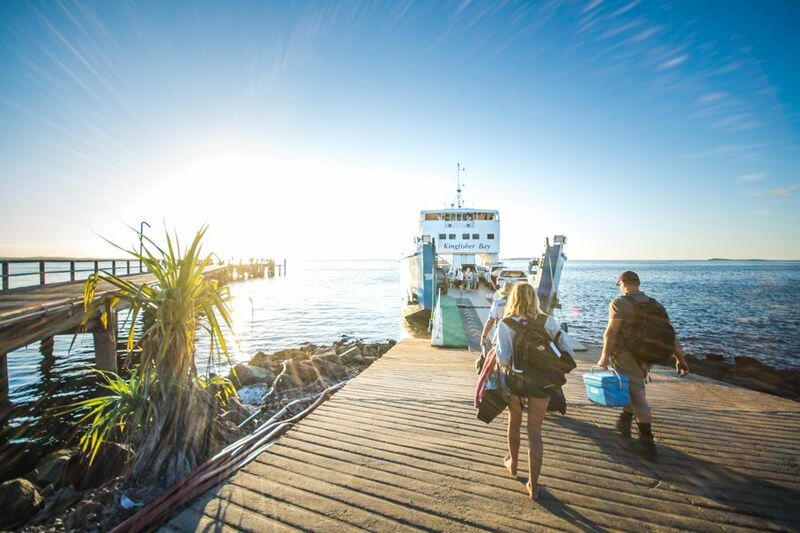 Since Fraser Island is an island with no bridges to and from the mainland, you must get there by alternative means, such as by ferry, barge or plane! The most popular way is by ferry or barge, with most people either driving their own four wheel drive vehicle or by joining a tour to the island that supplies 4WD in a tagalong tour, or by hopping on a 4WD bus. There are 2 departure points to Fraser Island: River Heads near Hervey Bay, or Inskip Point near Rainbow Beach. There are 3 places you can go to on the island from these departure points - either Hook Point on the southern coast, Kingfisher Bay on the west coast or Wanggoolba Creek on the west coast. River Heads departure point is approximately 20 minutes southeast of Hervey Bay while Inskip Point is about a 10 minute drive North of Rainbow Beach. Below we have listed ferry times to get to Fraser Island. Please note this schedule may change seasonally. If you are taking your own vehicle to the island, make sure you have all the proper permits and are prepared for the journey, packing what you will need and ensuring you are aware of the rules of the road and tides. If you are joining a guided or tagalong tour, your guide will take care of all of this for you! Can you buy alcohol on Fraser Island? Can you buy fuel on Fraser Island? Can you buy food on Fraser Island?